We welcome anyone interested in tourism to participate in this annual gathering! 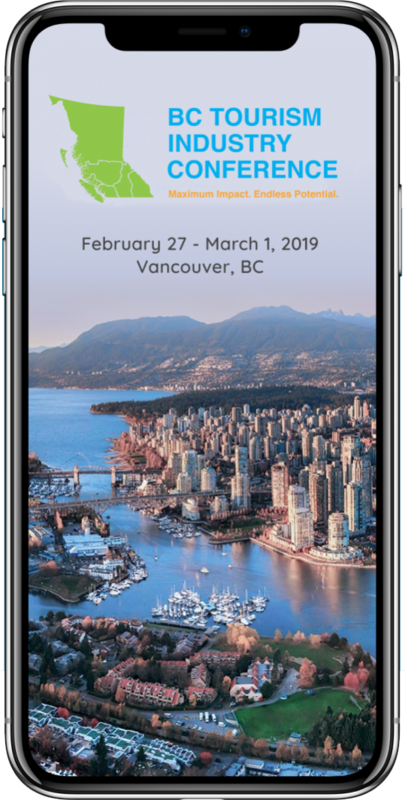 Don’t miss this opportunity to connect with other tourism businesses, communities and government leaders – share ideas, ask questions, network, learn, and explore! What happens at the BC Tourism Industry Conference? You can look forward to a number of high profile keynote speakers that will educate and inspire you. In addition, you will have a choice of a variety of concurrent sessions that will cover current industry issues and opportunities. Finally, be sure that you come prepared to be social! The Welcome Reception on the first night is a wonderful opportunity to make new connections and renew existing ones. The BC Tourism Industry Awards brings the tourism industry together to celebrate the best and the brightest in our industry – it is a gala occasion not to be missed! The conference schedule is designed to provide plenty of networking time – be sure to bring your business cards and to sign up for the conference App when it is released – this is great way to connect with your fellow delegates, build connections with delegates and sponsors and to be on top of last minute announcements from the conference organizers. Anyone with interest in the BC tourism industry! Attendees include the decision-makers and important players in the tourism industry. Owner/operators, educators, destination marketers, industry organizations and government all come together to discuss issues, network and take advantage of learning opportunities to enhance tourism in British Columbia.